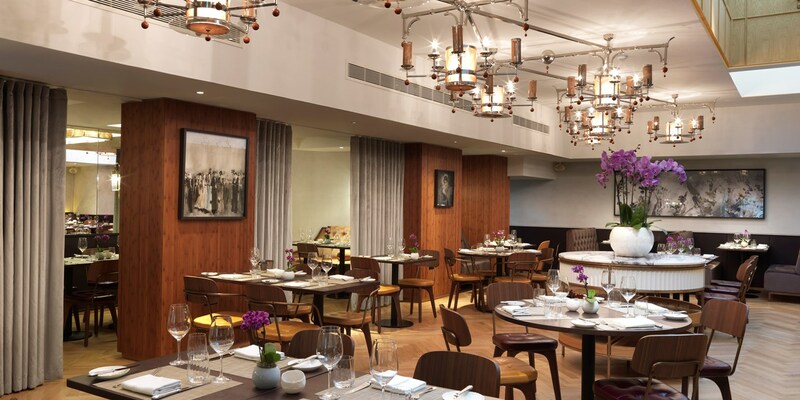 The Galvin name has always been synonymous with top-quality French cooking, but for the first time, the brothers are taking on British classics at a new restaurant in the Athenaeum Hotel. 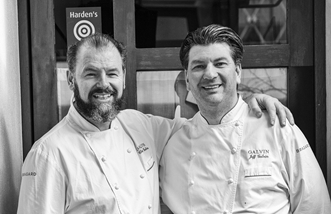 The Galvin brothers certainly choose some fantastic locations for their restaurants. 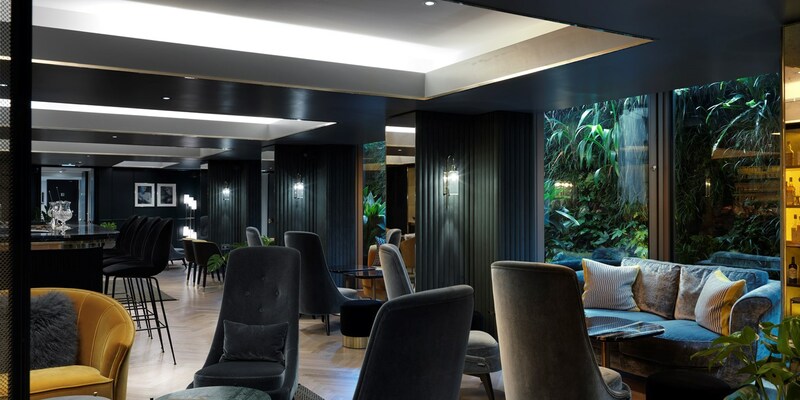 The Athenaeum Hotel sits on London’s Piccadilly in a beautiful spot overlooking Green Park, and has played host to many a celebrity over the years. The burnished gold front of the hotel says volumes about its palatial innards, and the restaurant certainly looks and feels the part. Like many Galvin establishments, Galvin at the Athenaeum manages to expertly tread the line between grand and ostentatious, retaining a light, airy feel without being overbearing. The food is a similar story. Chris and Jeff’s refined take on French food has made them household names, and though the menu is quintessentially British at the Athenaeum, it is no less polished. The menu is extensive, with a section of ‘Galvin Classics’ sitting alongside British favourites like Brixham plaice, brown shrimps, lemon, capers and brown butter, and Peterhead cod, brandade, English peas, lemon and parsley. British produce takes centre stage, even so far as using mangoes from Kent. Alongside the breakfast, lunch and dinner offerings at the restaurant, Galvin at the Athenaeum also specialises in afternoon tea, offering classic and royal options with a selection of scones, pastries and cakes, as well as a gentleman’s afternoon tea – an homage to the Athenaeum’s gentleman’s club roots – which serves upScotch eggs, sausage rolls and savoury scones, finishing things off with a dram of the Athenaeum’s very own blended whisky. Steven Spielberg had an editing suite installed in his room at the Athenaeum so he could work on E.T. and Raiders of the Lost Ark. The bar at the Athenaeum has a famous whisky collection, as well as serving a range of bespoke cocktails. The Athenaeum’s ‘Living Wall’ – designed by renowned French botanist and artist Patrick Blanc – is one of London’s few vertical gardens, and stretches from pavement level all the way up to the tenth floor penthouse.